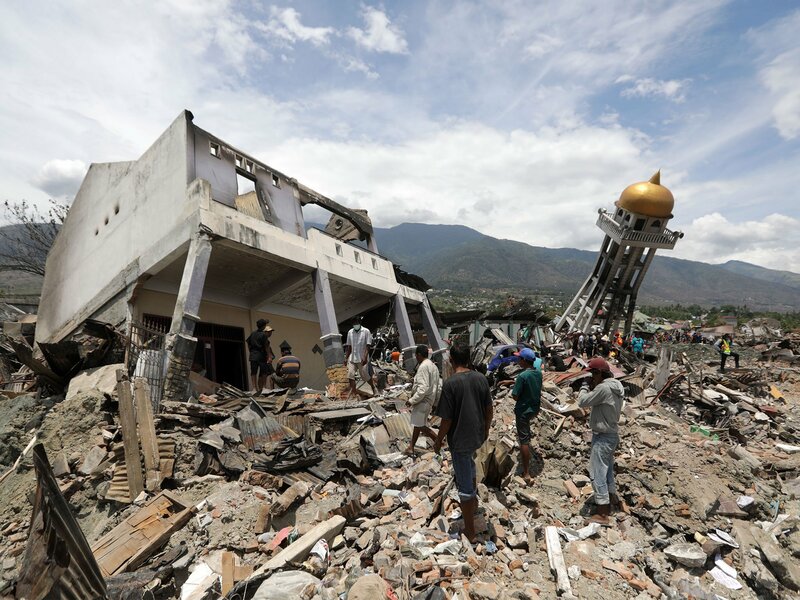 On September 28, Indonesia suffered from an earthquake followed by a tsunami with a current death toll of over 1,200 people. The earthquake was a 7.5-magnitude and the tsunami reached as high as twenty feet. These natural disasters greatly affected Palu as well as Sulawesi, Dongala, and other locations in Indonesia. As of October 2, 1,200 people have been confirmed dead and mass graves were dug on Monday to place the bodies. People are still currently alive and trapped under the rubble. Nearly 50,000 residents of Palu have lost their homes. Those who survived, are suffering from lack of food, water, and supplies. Few buildings are stable enough to provide shelter for the people who have lost their homes. It has been discovered that over thirty children attending a bible camp were found dead on Sulawesi. Hotel Roa Roa has also collapsed and with an estimation of fifty people inside, only twelve have been found and only three of them alive. European union and South Korea have contributed $1.7 million and $1 million while Australia and the U.S. are providing aid. It is hard for the citizens to be rescued, as the main airport in Palu has been damaged. Indonesia is fighting to stay alive and recover from these natural disasters.